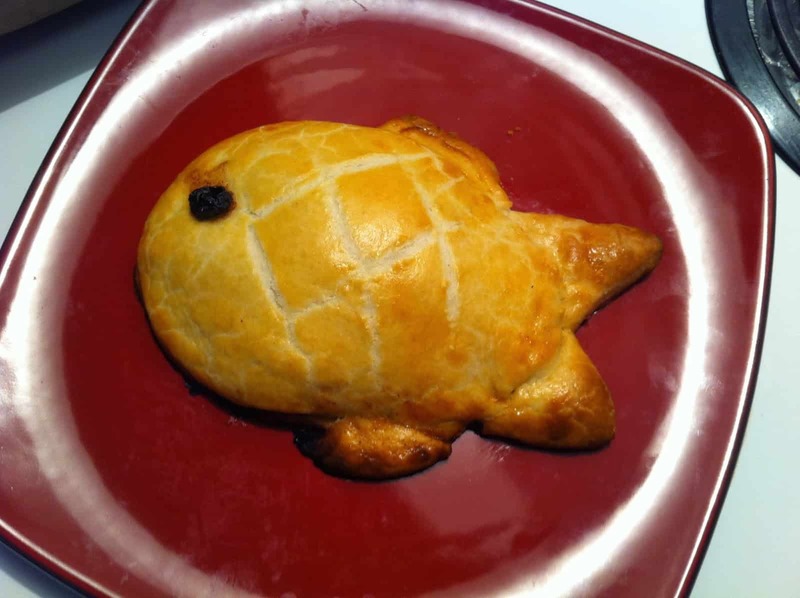 Pastry Fish Recipe from Final Fantasy XIV | Nerd Much? Much like the hot ‘dog’, ‘Green’land, and Koala ‘bears’, the Pastry fish is a misnomer. 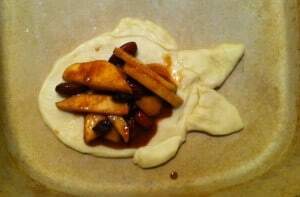 There is no fish inside; on the contrary, it houses a delicious apple concoction. And, as any Eorzean adventurer knows, having a sweet, pocket-sized snack that increases spell speed, piety and vitality is convenient. And apparently, adorable. 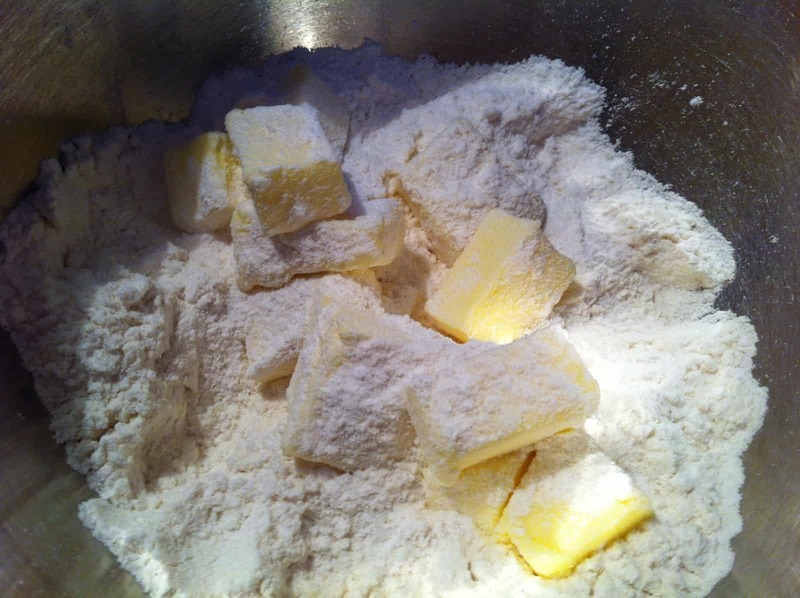 Step 1: Starting with the dough, since it needs to rest for about 45 minutes, mix your flour in with the salt and sugar in a medium mixing bowl. 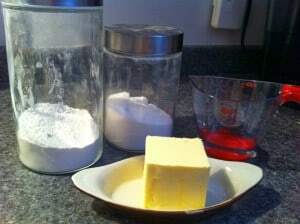 Then, add your cold, cubed butter to the dry works. Use your fingers to combine the butter into the flour. Step 2: Soon, the mixture will be crumbly. Add the water slowly and start to work it in with your good ol’ digits, so it comes together. When it does, form it into a ball. It needs to rest and let that lov-er-ly gluten form, so seal in some cling wrap and refrigerate. 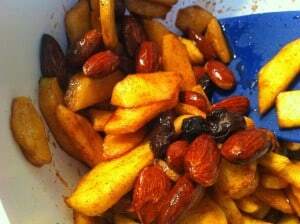 Step 3: Combine the apple mixture with the almonds and the raisins in a small mixing bowl. 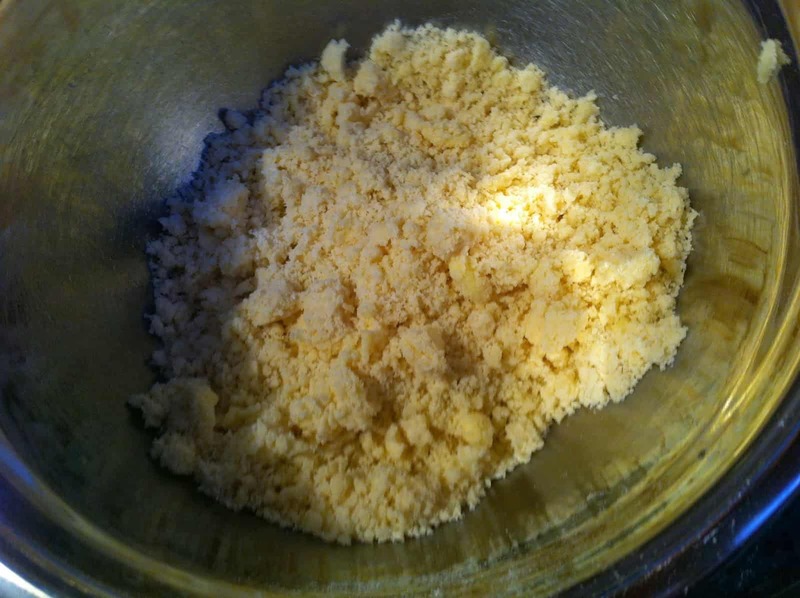 Step 4: Retrieve your dough from the fridge and roll it out onto a lightly floured surface. Once you’ve rolled out the dough to roughly 1/8 of an inch thin, use a pizza cutter to form an oval. 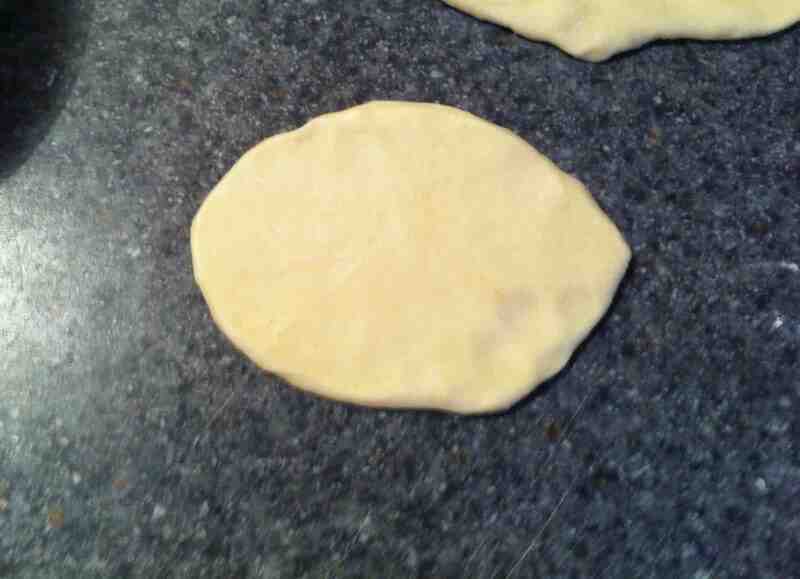 Step 5: At this point, you can lay your oval onto the greased cookie sheet/baking stone. 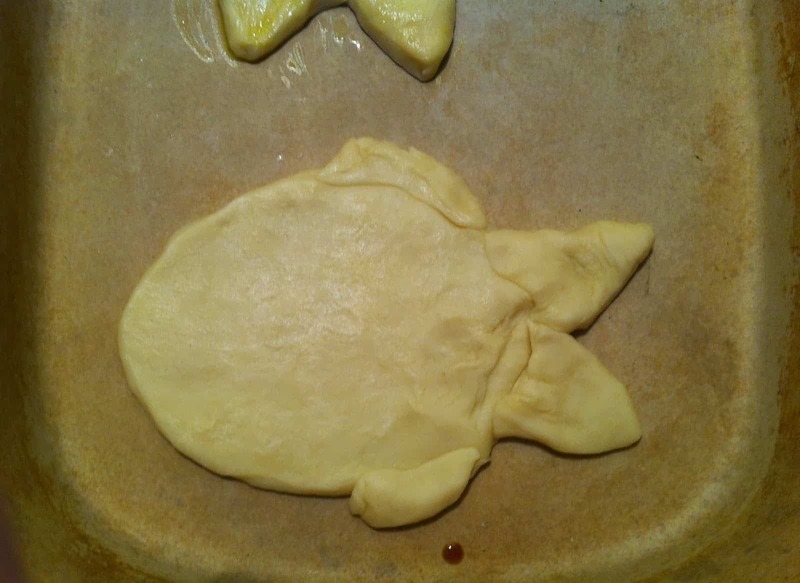 Form the fins and the tail and connect them to the oval. You can free form, c’mon. You’re hella creative. Step 6: Add a portion of the apple filling to the middle of the fish’s body cavity (Ick.) 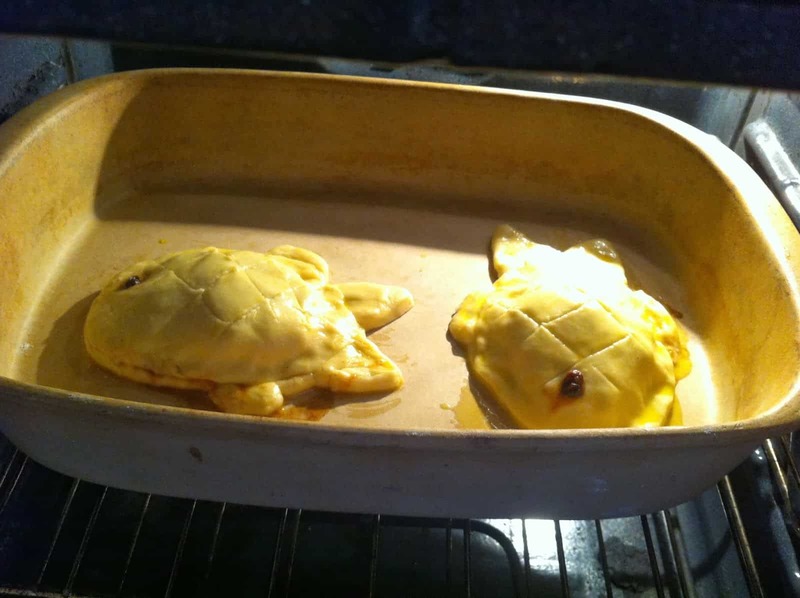 and make sure to make a little room around the edges to seal it shut. 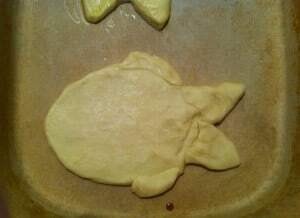 Step 7: Add another oval of dough on top of the initial fish, and seal them up with a light coat of egg wash around the edges of the fish body. Once it’s sealed up, score the belly to create diamond or scale shapes. Two back slashes, two forward, right on top of each other. Then, egg wash those suckers. Lather up! 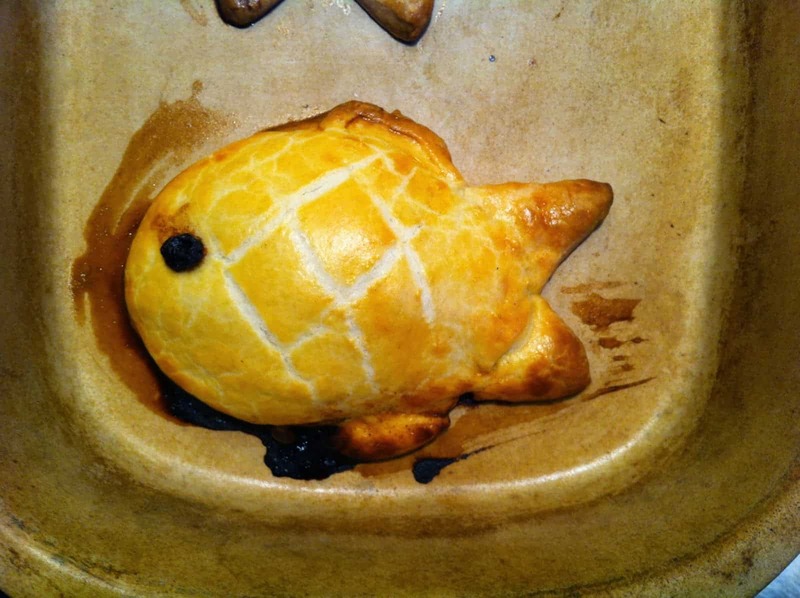 Step 8: If you want some real authenticity without having to harvest a fish eye from a filet of tuna, place a raisin from your mixture onto the surface to create a realistic finish. Bake on 375 for 20-25 minutes, until GBD. Golden brown and delicious. And there we have it! 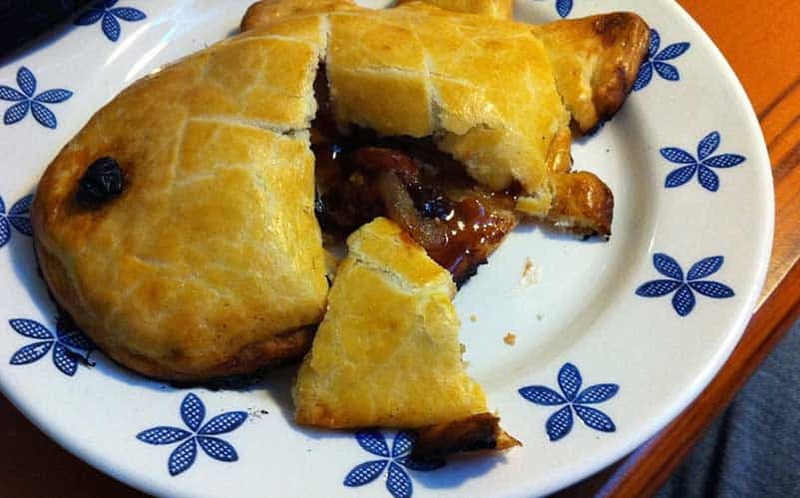 A perfectly pocketable pastry fit for the mage on-the-go. This is the first of many nerdy recipes we have. 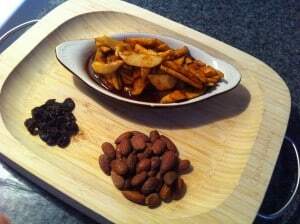 So, stay tuned to Nerd Much for more cool recipes from the wonderful world of nerd culture.